I’m not sure what it is about America in the 1950’s, but it has become very popular as of late in film. 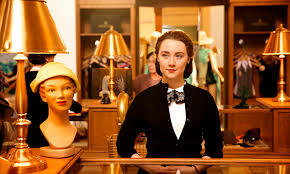 Three movies this year that took place during the Eisenhower era have captured the fervent imagination of the audience: Carol (which I’ve already reviewed), and now Brooklyn and Trumbo. Hm. It seems that that time period also has a penchant for titles with only two syllables as well. The reason for this mini-Renaissance may all be due to the success of TV’s Madmen, which dramatized America’s transition from the 1950’s to the 1960’s. Or maybe instead, “transition” is more the key word here. The 1950’s is one of the great transitional periods in our nation’s history, slowly trying to grow away from the conservation way of life of the Depression and World War II, struggling to break free so it can surge into the Summer of Love. And it all happened under a Republican president no less. Another possibility is that it is perhaps a perfect reflection of Charles Dickens’ opening lines to A Tale of Two Cities: It was the best of times, it was the worst of times. It was a time of great prosperity for the average man with low unemployment and strong salaries. Unions were respected and powerful; education was available to more than ever before; and America was still seen as the great deliverer from the evil of Nazism. But it was also the time of the Korean War; the rise of the Soviet Republic and the Red Scare; and the various civil rights movements, as well as the fight for equality for women, gays and others were having difficulty making themselves felt. And it would all soon come to a head and blow up in the next decade. One of the interesting aspects of all three films is the powerful feeling of nostalgia they purvey. This is especially odd for Carol and Trumbo since both have, as their basis, a dark side of the period: the treatment of gays and lesbians and the blacklist in Hollywood. But in spite of how negative the themes are, they can’t escape this feeling of nostalgia, this sweet pain that makes us so wish we could go back in time to have been there, done that. This may be because both stories have as one of the themes the same one as Brooklyn. No matter how difficult life is, there is always the future and the future will always win. One can fight anything but the future. 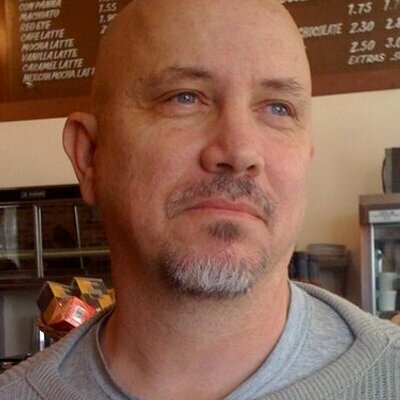 And as a result we have one of the rare happy endings to a gay romance from the period in Carol, while in Trumbo we have a David taking on Goliath…and winning. And so we come to Eilis, the hero of Brooklyn, who is faced with what is for her, and often for us all, both a simple and difficult choice: the future or the past. 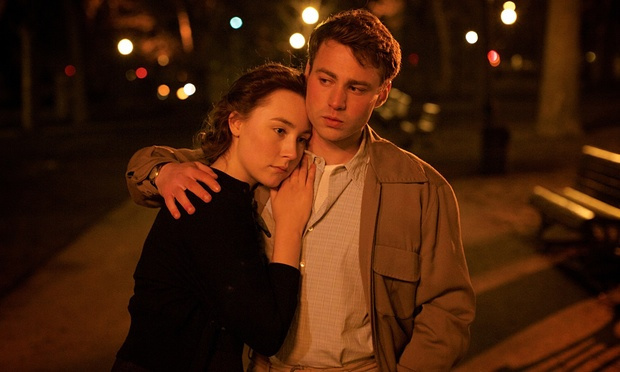 Brooklyn is a sweet, sincere and simple story which is generally the kiss of death in movies. Thankfully, we have here, instead, a romance that slowly surrounds you and before you realize it, leaves you with a glow of satisfaction, a feeling that you’ve seen something special. The film opens in Ireland as Eilis prepares to depart for New York, a job already waiting for her through the support of a kindly priest. The crossing and her early days in the new world are difficult, but she’s strong and resilient. She even meets, with little effort, Tony, a young man who is so taken with her, he wants to get married. But she then receives word that her sister has passed away and she needs to return home. She and her boyfriend marry in haste and to Ireland she goes. Once there, she doesn’t tell anyone that she has wed. So her family and friends, as well as fate, conspire against her (or for her), all joining forces to get her to remain, throwing in an eligible young bachelor for good measure, one who even rivals the one she left behind. So now she must choose: the future of Brooklyn, or the past of Ireland. The one aspect of the film that I found most intriguing was its attitude toward love, which is presented in a far more pragmatic way than a romantic one. In the world of Brooklyn, one doesn’t choose who one falls in love with based upon an emotional feeling, but upon whether it is a good match, whether it is someone who has the same goals, the same ideas, the same…future. Eilis and Tony fall for each other not just because there is a sexual attraction between them, which is probably the least important aspect of their relationship. Tony and his brothers have plans, have a future. They’ve bought a parcel of land to build a group of house on, three for the family and three to sell. Eventually he plans to start a construction business. Eilis, for her part, is taking accounting classes at night. Both are ambitious. Both are planning ahead. And so love for them is more based on a conscious decision to be in love with a person of one’s choosing, someone who is good for them, someone who makes sense. But Eilis faces a similar choice in Ireland. There she is set up with Jim Farrell, a young man about to inherit his father’s pub. He’s rather well off and when his parents retire elsewhere, he will get their large home to live in. Again, it’s a perfect match. And now Eilis has to choose not who she is in love with, but who she wants to love. I do have to say that I think there is something a bit off in the plotting here. Eilis and Tony are married and I assume that Irish law will recognize the legality of their union (if anything, she’d probably have to get an annulment from the Church). 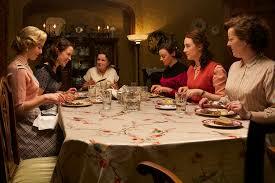 But even if not, she will still have to tell everyone, including her suitor, the truth of her circumstances. So even though the movie seems to be suggesting the choice is hers, in many ways it’s not. Once she comes clean, Jim will have to decide what he wants. And I find it hard to believe he will be able to overlook or just forget what Eilis has done in New York. After all, what happens in Brooklyn cannot stay in Brooklyn. Still, the movie manages to make you forget all this somehow as you wait for what is, after all, if one thinks about it, her inevitable response. 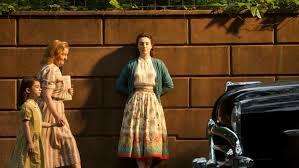 Saoirse Ronan shines as Eilis, giving a subtle and restrained performance. She plays the role with the grace of an Elizabeth Taylor. It’s a strong portrait of a strong character. With Emory Cohen as Tony; Domhnall Gleeson as Jim; Jim Broadbent as a kindly priest; and Julie Walters having a hell of a good time playing the Irish den mother as the owner of an all female boardinghouse. The lovely and graceful screenplay, from a novel by Colm Toibin, is by Nick Hornby (who also provided the lovely and graceful screenplay for another film about a young woman becoming her own person, An Education) and the lovely and graceful direction is by John Crowley, who helmed Boy A and Intermission. Trumbo is based on the true story of Dalton Trumbo, the highest paid writer in Hollywood who, because of his belief in Communism, suddenly found himself the lowest paid writer in Hollywood. 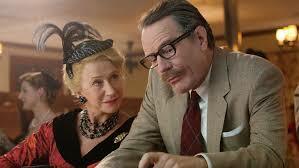 During the 1950’s Red Scare and the rise of Eugene McCarthy, with the red baiting backing of gossip columnist Hedda Hopper, Trumbo gets blacklisted and can find no work, but then figures out a way to game the system by writing under fake names…earning two Oscars in the process. 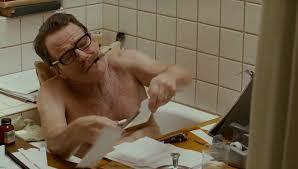 Of course, Trumbo was not a great writer. None of his movies will be found in the Sight and Sound or Cashiers du Cinema list of the finest films ever created (he never came close to such American classics as Citizen Kane, Vertigo or The Maltese Falcon, for example). And the filmmakers here, writer John McNamara (from a book by Bruce Cook) and director Jay Roach, can’t even be bothered to show (or maybe just don’t even see) the irony when Trumbo wins the Oscar for best original story over Jean Paul-Sartre for The Proud of the Beautiful or Cesare Zavattini for the great film Umberto D.
But Trumbo was a good journeyman and craftsman. He was fast and smart. He know what made a movie work and could create under pressure. And his films are often quite enjoyable and highly entertaining. In the end, his most purely entrancing film is probably Roman Holiday; his most interesting one is probably Johnny Got His Gun. I don’t know if Trumbo is a good film, but it’s definitely a fun one. Bryan Cranston does a witty job of taking on the various ticks and personas of the title character and it’s good to see him do something very far away from Breaking Bad. McNamara’s screenplay is never boring, though there were times I wish it had a bit more energy. It more than gets the job done, though at times that’s about all it seems to do. Perhaps the problem is the problem of many true story movies: adhering to a basic outline of facts while trying not to be restrained by a straightjacket. But it is often witty and engaging (“You want to write me a movie and you don’t want your name on it”, “No, you don’t want my name on it”). The supporting cast is equally fun. Louis CK is quickly becoming a solid and dependable character actor, good for all occasions and styles of secondary roles. He plays the straightest character of them all and plays it appropriately very straight. Diane Lane has the least interesting role as the “they also serve who sit and wait”, “stand by your man” dutiful wife. She’s good, but she deserves better. 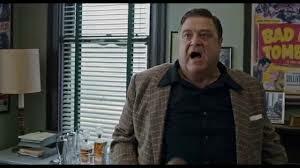 For some time, I have to be honest and say that John Goodman had stopped interesting me. 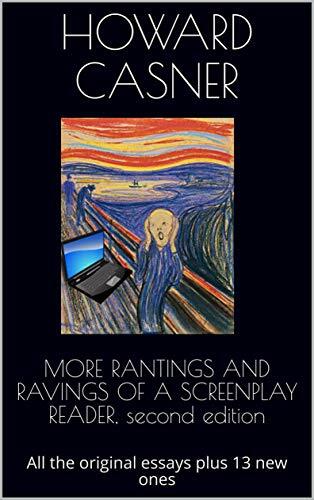 At the beginning, it seemed as if he could do anything and was the major scene stealer of many a film. But for some time, I felt a certain blandness and sameness enter his roles. But with his cameo in the Coen Brother’s Inside Llewyn Davis and here as a rip roaring, B movie and proud of it producer, he is making quite the come back. Perhaps the biggest surprise and disappointment is Michael Stuhlbarg as Edward G. Robinson. He makes no effort to try and sound or resemble the great actor, that there are times you have to stop and think and remind yourself just who he is playing. It’s so odd, it really calls attention to itself. With Helen Mirren pitch perfect as Miss Hopper; a very funny Christian Berkel as the Teutonic Knight, Otto Preminger (a role that his earlier parts in Black Book and Downfall obviously prepared him for); and Dean O’Gorman as Kirk Douglas (complete with a hole in his chin, prosthetic, I presume).